Past skirmishes have taught you well. Suiting up for the next battle, you wear the Kaspar Blackened Gorget to protect your neck. Handcrafted from high-quality steel, this unique neck guard is meant to be worn underneath torso armour. This steel gorget is inspired by the armour worn by mounted soldiers from the 16th and 17th centuries, lending it a Renaissance look. The high, round collar is attached to a round base that rests on the torso, both of their edges embellished with a braided pattern. A strip of unblackened steel bordering the base contrasts strikingly with the blackened portions. 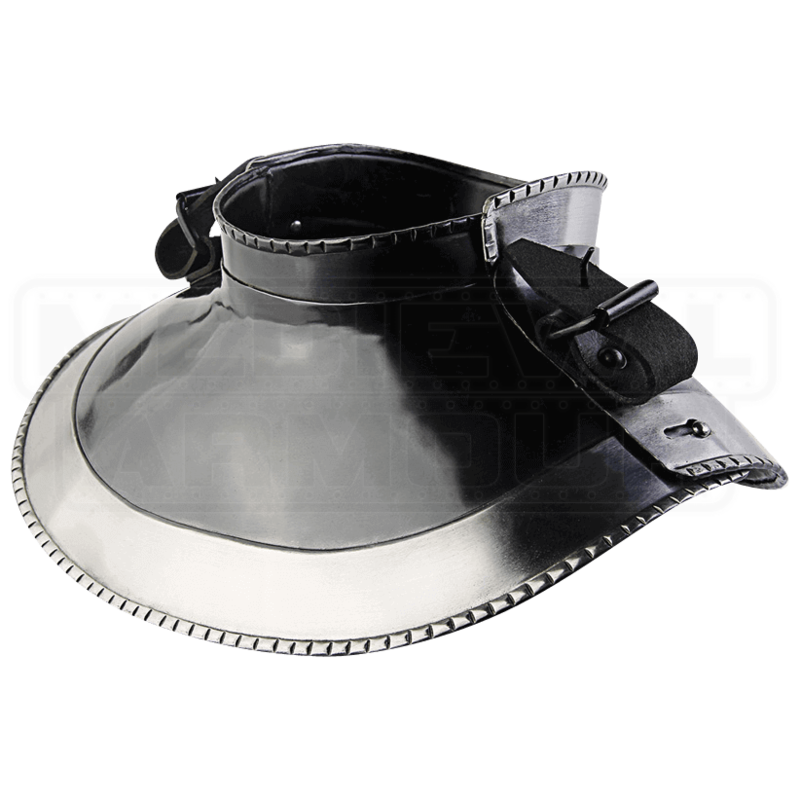 Essential protection for historic and fantasy warriors, this Renaissance style gorget has leather straps at each side of the neck opening for attaching other armour pieces, such as the Kaspar Blackened Spaulders, sold separately. 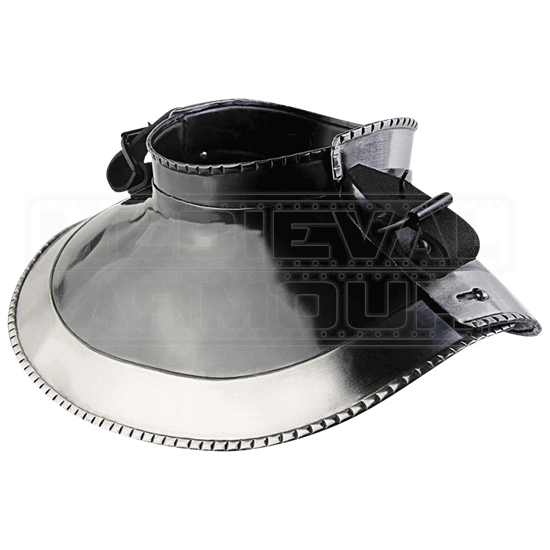 Worn over a high necked gambeson or padded arming collar, the Kaspar Blackened Gorget adds protection and coverage to LARP armour sets and unique style to reenactment and fantasy costumes.